Compressed air is fairly widely used in trains. 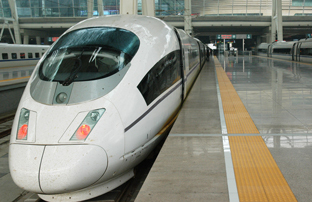 It is used especially to open and close doors, for braking, to move the pantograph, for window wiping, etc. For obvious safety reasons, this air is produced by oil-free compressors to avoid any trace of oil in the network. In addition, given the few available sets of wagons for equipment maintenance, the air used must be the cleanest and driest possible, to protect the circuits and components for which it is intended. Compactness is an extremely important factor for this type of application. CHAUMECA TECHNOLOGY has therefore developed a specific dryer to be fitted on board sets of wagons. It is of minimum size but loses nothing in terms of air quality and dew point required.